Before you do anything else, run through our Broadband troubleshooting sections. Rebooted and ensured your router is powered up correctly. Checked the 17070 service for a dial tone or noise on the line. click here. Plugged router into master test socket of the property. click here. Ensured no wireless devices are used and a ethernet cable is connected. The first step in setting up / changing settings in router is to connect via a network cable which you would have received in the original packing for the router, generally it’s a light grey coloured cable with yellow connectors. Once you have the cable connected between the router and the computer we are ready to proceed with the next step. To access the router click here. Enter your password which will be either the first 5 digits of your landline telephone number. Click on admin (top left). 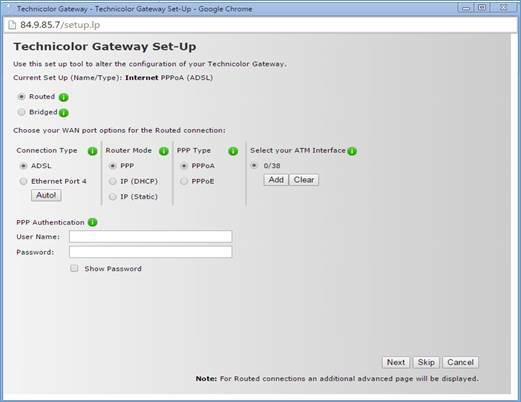 Under Pick a task… Click on Setup My Technicolor Gateway. To see the password is typed correctly tick the Show Password Box. Click on “Wireless” under “Home Network”. To access Wifi settings – click on “Configure” (in the top right of screen). On the above page you can change the broadcast name (SSID), the Wifi password and Wifi Channel. To change the Wifi channel put Channel Selection to Manual, the Channel drop down box will appear. Click on it and choose which Channel to put the router on. Then Click Apply at the bottom of screen. 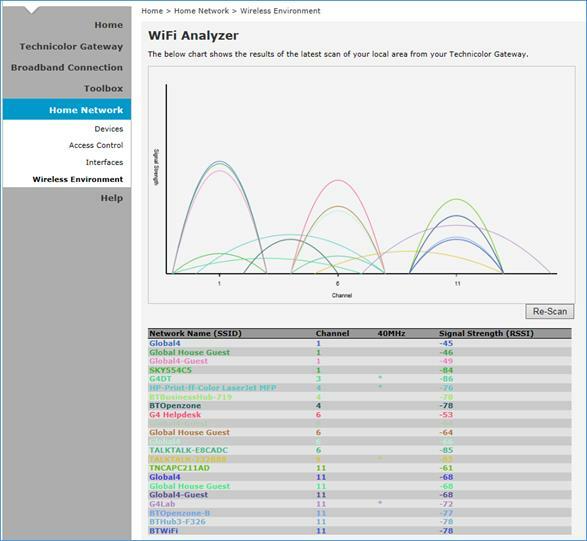 To perform a Wireless scan of the environment, Click on “Wireless Environment”. To refresh the scan click on “Re-Scan”. The plot and the list shows the results of the wireless scan. The router has 13 Channels (1 through 13). You want to choose a Channel that is either not appearing in the list or has a low signal strength. 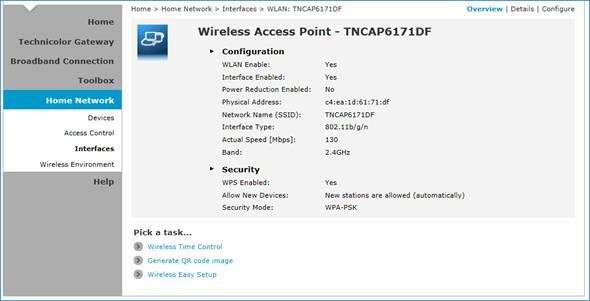 To re-access the Wifi settings from the Wireless Environment Click back on Home Network. Click on “Configure” (top right). When connecting a device wirelessly to your router we recommend following the manufacture’s guidelines. Home Telecom is not responsible for supporting these devices. Below are some external links to assist you with common devices. External links are selected and reviewed when the page is published. However, Home Telecom is not responsible for the content of external websites. If you can’t get online the first thing we need to do is look at the lights on your router or modem. These will help to determine what the problem is. The DSL light shows if you’ve got a broadband signal between your property and the BT telephone exchange. Sometimes this light has a different name – it’s usually one of DSL, ADSL, SYNC or LINK. On a Netgear router this light is represented by a lowercase i. Take another look at your kit, one of the lights will show if you are connected to our network. Again, the light might be called a different name but it’s usually called internet or represented by a tick or globe. If either the Broadband and Internet lights are OFF or FLASHING this means that your router can’t connect to the telephone exchange. This can be caused by a broadband fault or a problem with your wiring, filters or sockets. If the line is noisy or you can’t hear a dial tone you should report the problem to your telephone provider. Broadband shares the line with your telephone service. Microfilters separate the signals and prevent one from interfering with the other. Anything connected to your line needs to pass through a microfilter. Make sure your extensions and cabling are ok by testing your broadband in the master socket. You’ll find it at the point where the telephone line enters your property. To test, unplug everything from your line (including set-top boxes, other telephones and microfilter) and connect your router to the master socket through one microfilter. If there’s still a problem try a different router. If there’s still a problem your current router is fine, please report the problem to our Support Team. If you’ve fixed the problem but your broadband is now slow, don’t worry; it’s normal to see a temporary drop in speed after a broadband problem is fixed. It can take up to three days before your speeds return to normal. See Broadband speed – the basics for more on this. If your speeds don’t increase after 2-3 days, take a look at our other Help & Support pages. If the Broadband light’s ON and Internet light’s OFF this means that although you’re connected to the telephone exchange, you can’t connect to our network. Before reporting a fault check your equipment and settings. If both the Broadband and Internet lights are ON this means that your router is connected to the internet, but something is stopping data from reaching your computer. Do you have more than one computer connected to your network? If so, are you getting the same problem on each one? If you are, the problem lies either with your local network or connection to our network. If your other computers are working, then the problem lies with the computer you’re using. In the Control Panel, choose Network Connections. If your network icon is disconnected run through your setup guide and check your settings. If your connection shows as disabled, right click on it and choose enable to fix the problem. If it shows as connected and you’re still having problems, the next step is to test the connection between your computer and router. Choose Network – you’ll find this under Internet and Network. OS X 10.4: Choose Network Port Configurations from the Show Menu. OS X 10.5 and above: Click the Cog icon underneath the list of connections on the left and choose Set Service Order. Make sure your connection type is at the top of the list (drag it up with the mouse if you need to) and the box next to it is ticked, click Apply Now to return to the network screen. OS X 10.4 and below: Choose your connection type from the Show list. On the screen that appears make sure Configure IPv4 is set to Using DHCP. If you have to change anything click Apply Now. OS X 10.5 and above: Click on your connection type from the left menu (it should be at the top) and click Advanced. On the screen that appears, make sure Configure IPv4 is set to Using DHCP. If you’ve had to change anything click Apply Now. If your Mac connects via wireless, click on the wireless icon on the top bar. Make sure that Airport is shown as ON and you can see your wireless network in the list with a tick next to it. The next step is to test the connection between your computer and router. Firstly, if you use a firewall, turn it off for a few minutes. If this fixes the problem then check through your firewalls rules and remove the entry that’s causing problems or just reinstall it. Otherwise continue through this guide. Open your web browser (ignore any error messages the browser shows you) and type your routers IP address into the address bar. This varies between models but is usually along the lines of http://192.168.X.X. 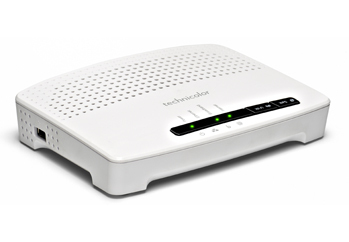 For Thomson & SpeedTouch routers, the address is http://192.168.1.254/. Check the router instructions if you don’t know the address for your router. When you’ve entered the address you should be taken to the routers admin page. If you can get this far then your computer is connected to the network and can talk to your router. Enter http://212.58.251.195/ into your browsers address bar and it should load up the BBC website. You have a DNS problem. If you use a firewall make sure that it’s not blocking DNS traffic. Use our DNS setting guides to make sure your machines are set to use the correct addresses. If that doesn’t help, perform a factory reset on your router and set your connection up again. If you have one handy, see if the same thing happens when using a different router. If you still have problems, report the problem to us and we’ll look into it for you. Your computer can’t send any data through your router to our network. If you use a firewall, turn it off for a few minutes and try http://212.58.251.195/ in your address bar again. If that doesn’t work, do a factory reset on your router and set up your connection again. This means that the problem lies with the connection between your computer and router. The computer can see your network but it can’t send data through it. This will either be a problem with the router or your computers software. If you use a firewall, turn it off for a few minutes and try to browse the web again. If this fixes the problem then check through your firewalls rules and remove the entry that’s causing problems, or just remove and reinstall the whole program. If your connection continues to fail, perform a factory reset on your router and set up your connection from scratch. If you have one handy, see if the same thing happens when using a different modem or router. If you still have problems, report the problem to our Support Team and we’ll look into it for you. If you use a firewall, turn it off for a few minutes. If this fixes the problem then check through your firewalls rules and remove the entry that’s causing problems or just reinstall it. If this continues to fail, perform a factory reset on your router and set up your connection again. For a reliable broadband service, you must have correctly fitted microfilters. These modest devices stop the voice service on your telephone and your broadband signal from interfering with each other. If this happens your broadband connection may not work, or you may hear high-pitched noises when you make phone calls. Fitting microfilters is straightforward, but can get more difficult if you have a more complicated arrangement of telephone equipment and line extensions. Things like Sky TV’s telephone connection, fax machines and burglar alarms can all cause problems. This guide will tell you everything you need to know to make sure you have your microfilters attached correctly. It looks like a telephone adapter/line splitter (a device that lets you connect two telephones to one line). A microfilter is different because it filters out signals that might cause problems. There are two sockets on a microfilter, one for your broadband hardware, and one for an optional telephone device. This is the box into which your telephone line arrives from outside. You might have several telephone sockets in your home or office, but this is the one from which all other sockets are extended. These can be built in, and may look just like your master socket, or you might use a “loose wire” extension. Extensions can give you more options for the placement of your broadband connected computer, but can cause problems if they are of poor quality, or damaged. Faulty extensions are a common cause of broadband faults. The first thing you should do if you suffer a connection problem is test your service from your master socket. This is the ideal layout, with less potential for problems. 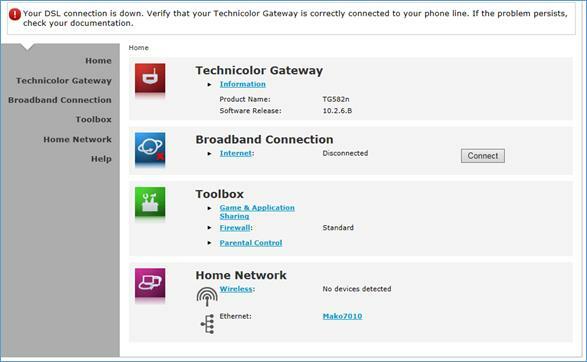 If you experience problems with your broadband connection, you need to test your service with this layout to confirm the problem isn’t down to a bad extension cable, or interference from another connected telephone device. In case there is a problem with your telephone handset, you should disconnect it from your microfilter during testing. If you still find you have problems, make sure that you test an alternative microfilter. Broadband hardware is usually supplied with a spare microfilter. Note that it is possible to connect your broadband hardware to the phone point without the use of a microfilter IF you have the appropriate modem cable (a telephone cable from an old dial-up modem will often work). Make sure that there are no other telephone devices plugged in on the same line, or extensions. Many people need their broadband service carried to a different room in the house from the one containing the telephone master socket. Unless you are using wireless equipment this is done using a telephone extension of some type. It is vital that a microfilter is placed on all extension points on which telephone devices are attached. If you have a complicated arrangement of telephone equipment and extensions on your line, it becomes increasingly important that you test your broadband service from the master socket, with all other devices disconnected. You can then re-connect each device in sequence to see which device is causing the problem. You should never have your broadband equipment attached to a telephone extension that is itself attached to another microfilter. This is because the broadband signal will be mostly blocked, and is unlikely to work at all. Tracking down the cause of a dropping connection can be difficult. They can be caused by line faults, a problem with your equipment or something external to your property. If your broadband drops a lot, your line speed will automatically be reduced. This is a temporary measure to try and stabilise the connection, once the cause of the dropping is found and fixed, your line speed will return to normal. Before reporting a fault check your equipment and settings. If the line sounds clear and you can hear a dial tone, go to check your microfilter(s). If the line is noisy or you can’t hear a dial tone you should report the problem to your telephone provider – if that’s us, go to the Telephone troubleshooting guide. Broadband shares the line with your telephone service. Microfilters separate the signals and prevent one from interfering with the other. Anything connected to your line needs to pass through a microfilter. If you need help with this, our Fitting Microfilters Guide will show you how to set them up properly. If you’re happy that your microfilter(s) are fitted correctly, go to Test from the master socket. To test, unplug everything from your line (including set-top boxes, other telephones and all microfilters) and connect your router to the master socket through one microfilter. If this has fixed the problem: Either your extension wiring or something connected to your line is causing the problem. Find out which by checking after plugging each piece of equipment back in. Try replacing your microfilter(s) if you can’t find the culprit. If this has fixed the problem your current router is faulty and needs replacing. Keep an eye on the times when your connection drops. If you spot a pattern does it coincide with anything else that happens at the same time? Has anything changed recently – either with your setup or in the local area? We’ve found that bad weather, Christmas lights and new telephone handsets can all cause problems. If you’ve fixed the problem but your broadband is now slow, don’t worry; it’s normal to see a temporary drop in speed after a broadband problem is fixed. It can take up to three days before your speeds return to normal. See Understanding Broadband Speeds for more information on this. If your speeds don’t increase after 2-3 days, take a look at our Slow Broadband section for help and advice. Is your broadband running slow, or not as fast as you’d expect? There may be a line fault, a problem with your equipment or your line might not be able to go any faster than it is now. This guide will show you how to find out and what you can do about it. How fast can your line go? Before you start troubleshooting, you need to know how fast your line can actually go. Put your number in the BT Availability checker. The results will confirm the exchange you’re on and the maximum speed your line can support. The web address is: www.btwholesale.com/includes/adsl/main.html. Run a speed test which can be done at the following web address: www.speedtest.net. The results will show your current speed and how your line is profiled. DSL Connection Rate (DOWNSTREAM) – this is the speed of the connection between your property and the exchange, it should be close to the figure reported by the BT Availability Checker. IP Profile – this is the fastest speed you can currently get whilst also receiving a stable connection. This should be just under your DSL Connection rate. Download Speed – the actual speed you’re downloading at, this should be close to but never higher than the current IP Profile. On a stable line the Downstream Rate should be close to the maximum speed reported by the BT Availability Checker. In the event of a problem, the Downstream Rate will reduce to try and keep the broadband service stable. Before reporting a fault, you should check everything mentioned below to make sure your equipment is set-up and working properly. Please Note: A low downstream rate will also reduce the IP Profile. If your downstream rate increases at any point, it needs to stay that way for 2-3 days before the IP Profile increases. See Understanding Your Broadband Speed for more information on this. If the line sounds clear and you can hear a dial tone, go to Check your microfilter. If the line is noisy or you can’t hear a dial tone you should report the problem to your telephone provider – if that’s us, go to the Telephone Help & Support. If the downstream rate increases: Either your extension wiring or something connected to your line is causing the problem. Find out which by checking after plugging each piece of equipment back in. Try replacing your microfilter(s) if you can’t find the culprit. If the downstream rate increases your current router is most likely faulty and needs replacing. If the downstream rate remains low contact our Support Team for assistance. The IP Profile dictates the maximum speed you can download at, it’s set at your telephone exchange and will vary according to the condition of your line. In the event of a problem, the downstream rate will be reduced to try and improve stability. When this happens the IP Profile will quickly reduce to match. It will only rise if a line remains connected at a higher downstream rate for 2-3 days. Bearing the above in mind, if your IP profile is considerably lower than your downstream rate, the problem will fix itself within a few days if your connection is stable. If the problem doesn’t fix itself within 2-3 days, your connection is probably dropping – go to the section on Service Dropping Out for help and advice. In ideal conditions the download speed will be just under the IP Profile. If there’s a considerable difference, check the things mentioned below before reporting a fault. If there are problems on our side of the network, we’ll post about them on Service Status. If a speed affecting problem is open, make sure it’s closed before checking anything else. Viruses and Spyware can slow down your computer and subsequently your download speeds. There are a number of programs which can help you find and remove these from your system. Run a full virus scan to make sure your computer is ok. If you’re using a wireless network, try connecting with an Ethernet cable. If this shows improvement in download speeds you should consider changing the position of your router/computers and the channel that your wireless network broadcasts on. If possible, try a different router or modem on your line. If this fixes the problem, your hardware is faulty and needs replacing. Problems at your telephone exchange can affect your broadband speeds. If this is the case, BT will already be aware of the problem and they’ll be planning to expand the exchange capacity to fix the problem. When ordering your broadband through Home Telecom we are able to provide you with a pre-configured wired or wireless router which saves you the hassle of having to set your router up. Even if you are already using Home Telecom’s Broadband you can still order a pre-configured router today from our Support Team. If you are using your own router here is a step by step guide to help you. This guide explains how to set up a router for home computer networks. 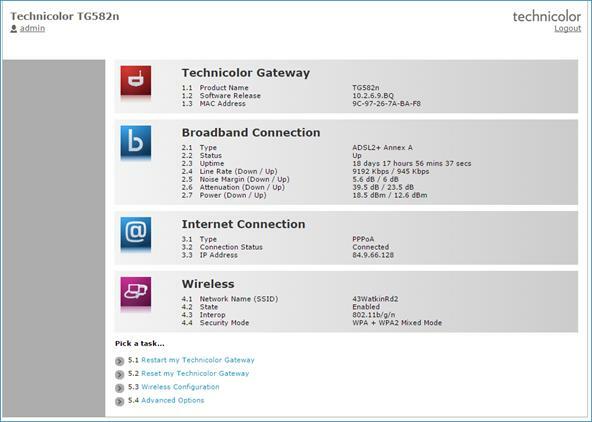 The exact names of configuration settings on a network router vary depending on the model and whether it is wired or wireless. However, this general procedure will guide you through the process for the common kinds of home network equipment. A network router (wireless or wired) Network adapters installed on all devices to be connected to the router. A working Internet modem (optional). 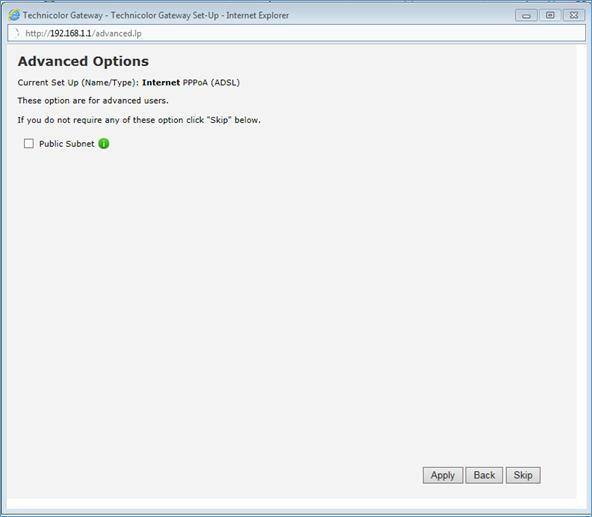 A Web browser installed at least one computer in the network. Choose a convenient location to begin installing your router such as an open floor space or table. This does not need to be the permanent location of the device. Particularly for wireless routers, you may find it necessary to re-position the unit after installing it as the cables / signals may not reach all areas needed. At the beginning, it’s better to choose a location where it’s easiest to work with the router and worry about final placement later. Plug in the router’s electrical power source, then turn on the router by pushing the power button. (Optional) Connect your Internet modem to the router. Most network modems connect via an Ethernet cable but USB connections are becoming increasingly common. The cable plugs into the router jack named “WAN” or “uplink” or “Internet.” After connecting the cable, be sure to power cycle (turn off and turn back on) the modem to ensure the router recognizes it. Open the router’s administration tool. From the computer connected to the router, first open your Web browser. Then enter the router’s address for network administration in the Web address field and hit return to reach the router’s home page. Many routers are reached by either the Web address “http://192.168.1.1” or “http://192.168.0.1” Consult your router’s documentation to determine the exact address for your model. Note that you do not need a working Internet connection for this step. Log in to the router. The router’s home page will ask you for a username and password. Both are provided in the router’s documentation. You should change the router’s password for security reasons, but do this after the installation is complete to avoid unnecessary complications during the basic setup. If you want your router to connect to the Internet, you must enter Internet connection information into that section of the router’s configuration (exact location varies). 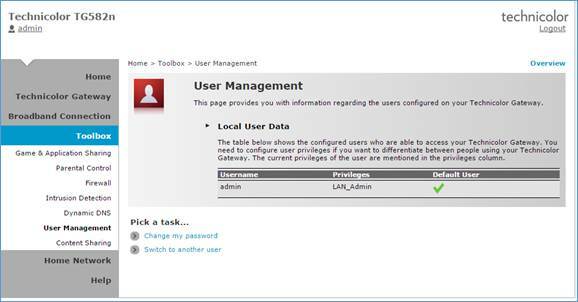 If using DSL Internet, you may need to enter the PPPoE username and password. Likewise, if you have been issued a static IP address by your provider (you would need to have requested it), the static IP fields (including network mask and gateway) given to you by the provider must also must be set in the router. 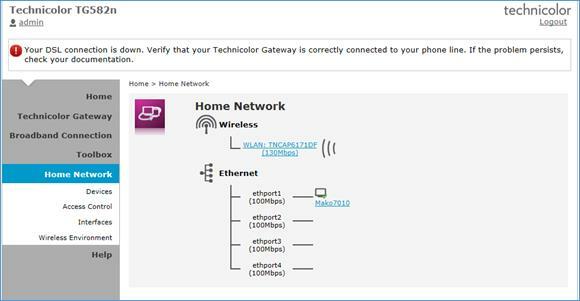 Verify the network connection is working between your one computer and the router. To do this, you must confirm that the computer has received IP address information from the router. (If applicable) Verify your one computer can connect to the Internet properly. Open your Web browser and visit a few Internet sites such as http://compnetworking.about.com/. When connecting devices with network cables, be sure each end of the cable connects tightly. Loose cables are one of the most common sources of network setup problems. What speeds should I be getting? The quality of your telephone line: A phone line consists of 2 insulated copper conductors twisted round each other. Damaged, corroded copper or poor connections between cables will mean poorer speeds. Up to 8Mb – if you’re on an older account type (such as Broadband Your Way), or your line can’t support an Up to 20Mb service. When you sign up, move house or switch broadband product we’ll give you an estimate of the speed you should be getting. Ideally your speed will be close to this estimate. *If your estimated speed is below 4Mb we’ll provide an up to 8Mb service instead of an up to 20Mb service, even if your telephone exchange is ADSL2+ enabled. This is to give you a more stable and reliable service and a better broadband experience. Read our ADSL2+ FAQ for more on this. Why does my speed change? During the first 10 days of your broadband service: At first we won’t know exactly how fast your broadband will be. To find out, a number of tests are run from your telephone exchange which will cause your speeds go up and down. You may even get disconnected a few times. Don’t worry, this doesn’t mean there’s a problem, so please bear with it. During this time we’ll find the best balance between speed and reliability for your line. You can help the testing process by rebooting your router (switch it off and on again) three or four times over the first 10 days. You’ll get better results if you can do this in the morning. After the first 10 days: Your line will settle down to a speed close to the estimate we gave when you signed up. Small changes are normal and nothing to worry about. If there’s a problem affecting your connection (see the table below for info about some of the things that can happen), your line speed will be reduced to try and keep your service stable. After a problem is fixed, it takes about 3 days for speeds to return to normal. Broadband faults Any broadband fault can cause a drop in speed. This is particularly common in cases where broadband is disconnecting regularly. As mentioned above, speeds will return to normal once the broadband service has been stable for at least 3 days. Telephone faults Broadband is supplied over your telephone line, so it needs the line to be working properly. Subsequently, it’s common for telephone faults to cause problems with broadband service. You may see slow speeds or you might not be able to connect at all. In nearly all cases, once the telephone line is fixed the broadband will be too. Connection problems tend to clear up immediately, with slow speeds it’ll be a few days before your speed gets back to normal. Wireless The position of your router/computers and the channel that your wireless network broadcasts on can have a big impact on your wireless signal strength. A poor quality or low strength signal will reduce the speed you’re connected to the router and as a result of this, the speed at which you can download data. Wrongly setup microfilters If you’ve not connected these up properly you’ll not get the best broadband experience. It’s a common cause of intermittent connection and speed problems. You should avoid using long phone extension cables too. Check our Guide to Fitting Microfilters & Connecting Your Router for help. Bad weather Heavy rain or thunderstorms can play havoc with broadband speeds. In fact, a severe storm could even damage your equipment permanently. We’d suggest unplugging your equipment from the phone line and power socket. You can plug them back in after the storm has passed. Electrical interference Household equipment (either yours or your neighbour’s) can cause interference which often affects broadband speed. Things like TVs, alarms, fairy lights and set-top boxes are known to cause problems. Your computer Older machines can have trouble running newer software and operating systems, giving the impression that the broadband connection is slow. If your computer has picked up something nasty it can slow everything down. Make sure you’ve got the latest protection installed. What speed am I getting now? If the results are slower than you’d expect e.g. considerably lower than your original estimate, take a look at our My Broadband is slow guide in Broadband Troubleshooting. A fair use policy applies to our Broadband service with unlimited downloads. We will ensure that you get the fastest speed available to you in your area. This means that you could get up to 20Mb, if your local telephone exchange is ADSL2+ enabled, or an up to 8Mb service if it’s not. ( Note: If when you check your estimated speed it says less than 4Mb we’ll offer you an up to 8Mb service, even if your exchange is ADSL2+ enabled. This would provide you with a more stable connection, meaning a better all round broadband service ). What if I want to use the internet for gaming or downloading? At Home Telecom we realise that it may not just web browsing you will want from your broadband package. If you enjoy gaming, making frequent downloads, or use file sharing, please email sales@hometelecom.co.uk or call us on 01403 216131 with your property’s address and postcode and we will carry out a speed check for you. My last provider tied me into an 18 month contract, how long do I have to sign up to Home Telecom for? At Home Telecom we are determined to give you, the customer what they want which includes not being trapped by long term contracts. If you are renting a property you will only sign up to match the length of your tenancy agreement, so no more worrying about being in 18th month contract if you are only going to be there for 6! As a Home Buyer you are only subject to a 6 month contract, providing you with the freedom and flexibility that you don’t get when handcuffed into 18 month contracts. Does your service work with both PCs and Macs? Yes. Our service supports both PCs and Macs. You can contact our UK based customer service help desk 24/7 if you need our assistance. Our help articles and FAQs will provide you with some quick answers to your questions. If this does not solve your issue then contact us. Does anyone need to come to my house? If you do not have a phone line in place, or are switching from cables an engineer may need to install a new phone line at your property. If this is the case with your property, we will arrange an engineer appointment at a time that is convenient for you. How can I find out if broadband is available where I live? You can then decide if you want to continue and signup to Home Telecom. Simply go to our sign up page or call our 24/7 customer service team who will guide you through the process. Yes, you’ll need to give them a call to get a MAC Key (also called a MAC Code). The key will let you switch your broadband to Home Telecom, without it you won’t be able to move to us. To help you we’ve listed telephone numbers for all the major broadband providers below. Can I use a MAC key to move from cable broadband? ADSL and cable broadband don’t work in the same way, so services can’t be switched using a MAC Key. However, when you sign up online we’ll be able to check that you’ve got a cable line and explain what we’ll need to do to switch your service. Will my current provider charge me if I switch? It won’t cost you anything to switch your broadband, however they might hold you to any contract you’ve taken out with them. (i.e. you may need to pay any outstanding charges). You should check with your current provider before switching to us. How long will it take to get my broadband connected? We aim to have your package set up by the time that you move in to your new property. In some instances this may not be possible, but we will ensure that every effort is made to get you up and running as soon as possible. If you’re switching your broadband from another provider it may affect the timescales slightly. Your move to Home Telecom is more likely to go smoothly if you’ve met all your contractual obligations for your old broadband provider. Delays caused by the wholesale supplier and your old broadband provider can mean a delay in your set up date. If you currently have broadband – you’ll need an active service to switch to Home Telecom. If you cancel your broadband account with your current provider your move will be delayed. If you currently have cable – you can keep your cable service connected and use this until your broadband service is activated. Once we’ve emailed you to tell you that your broadband or cable has been switched to us you should check that your old provider has cancelled your service. This should stop any unnecessary payments being made. I’ve got a MAC key, when do I have to use it by? Your MAC Key (Migration Authorisation Code) lasts for 30 days, starting from the date your current broadband provider gave it to you. If you don’t use your MAC Key to move within 30 days then your old broadband service won’t be stopped. Don’t worry though, if this happens you can ask your current provider for another MAC Key.